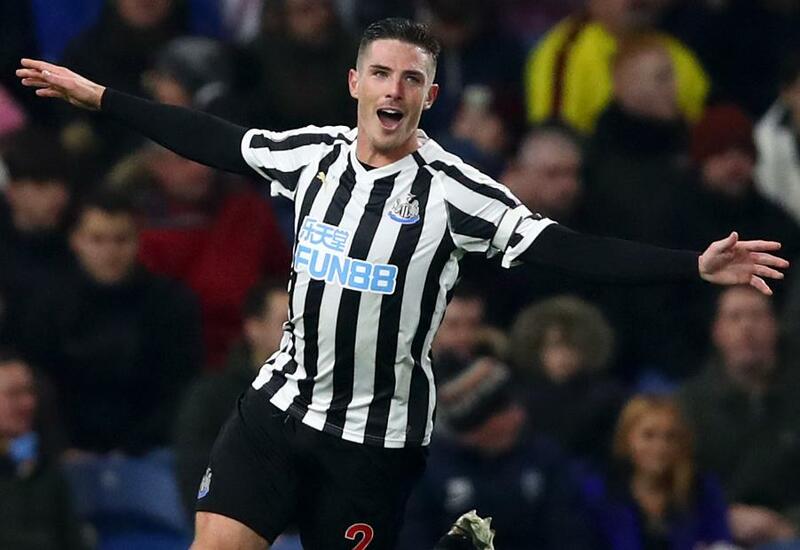 Newcastle United completed their third consecutive Premier League victory, beating Burnley 2-1 at Turf Moor. After a delayed start, Newcastle went ahead in the fourth minute when Federico Fernandez’s shot was diverted into his own goal by Ben Mee. They doubled their lead on 23 minutes, thanks to Ciaran Clark's glancing header from Matt Ritchie’s cross. Burnley got back in the match when Sam Vokes headed Mee’s crossfield pass past Martin Dubravka from 17 yards. Ritchie skewed wide from two yards after the break, while Burnley’s Chris Wood was thwarted twice by Dubravka and once by DeAndre Yedlin. Newcastle substitute Joselu struck a post late on and Vokes headed over in added time as Rafa Benitez's side held on for their first away win of the season. The Magpies move up to 13th with 12 points. Burnley’s eighth defeat of the season leaves them 17th on nine points.